This topic will be discussed in more length in the upcoming "Living With Monkeys" The Toddler Book, but I wanted to jump right in and start talking about this first thing on this brand new BLOG!!! I am sure the reason I am focusing on this particular subject is that I am typing on a computer (by the way is new and was a gift) that has the "R" key pulled off. Guess How Long It Took To Happen??????? 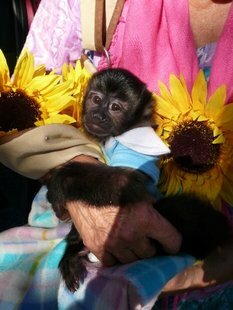 With a monkey in your home your life and their life can change in 2 seconds flat! Oh me - Oh My - they are so quick - they are so sneaky - they are so smart - and they are so mischievous. In just 2 seconds they can do something that can cause them to lose their lives. 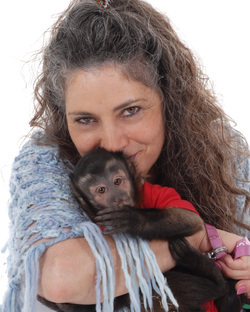 Read my book "Living With Monkeys" to learn helpful things about keeping monkeys safe in captivity.